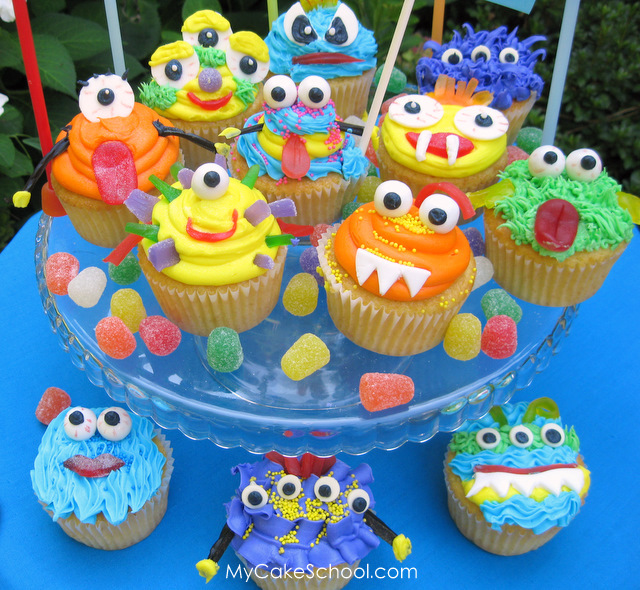 I have been busy planning my little girl’s 2nd birthday, and have been inspired by many different cupcake ideas out there. I wanted to share a few of my favorites with you. 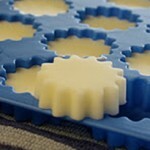 There are so many creative and EASY things you can do with cupcakes! This one reminds me of the Very Hungry Caterpillar. 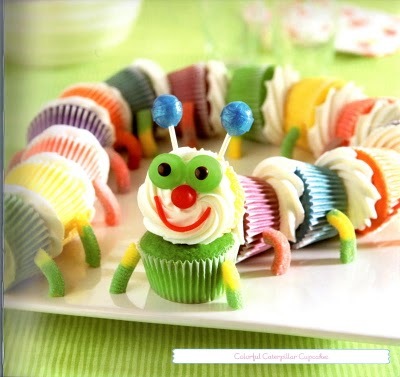 Or it would be fun for a bug theme or a rainbow theme party. 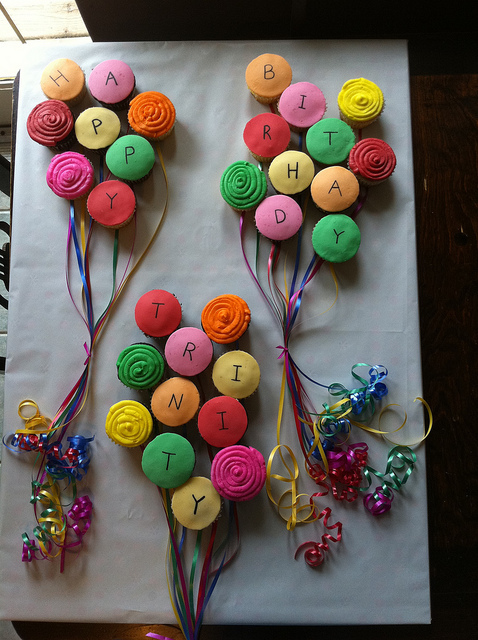 These balloon cupcakes could be done in any color combo to match whatever theme you wanted, for a boy or a girl. Or perfect for an “UP” theme party. Wasn’t that a great movie?? 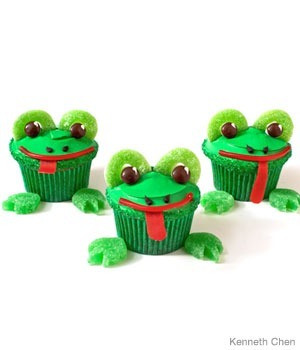 And arent these frog cupcakes the cutest? Easy for a boy’s party…or part of a princess theme! Got me? 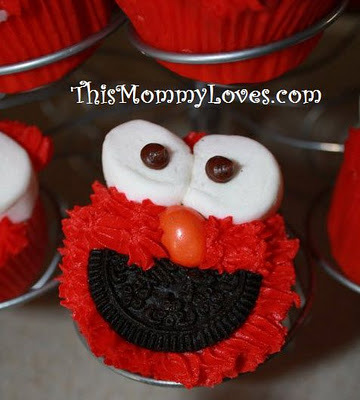 And this is what we decided to do for my 2 year old… ELMO! Or “momo” as she calls her. We are switching out the peanut M&M for an orange jelly bean to keep things peanut free. I hope you’ve enjoyed this inspiration. 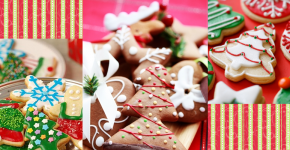 I would love to hear what you have done for your kids birthdays!